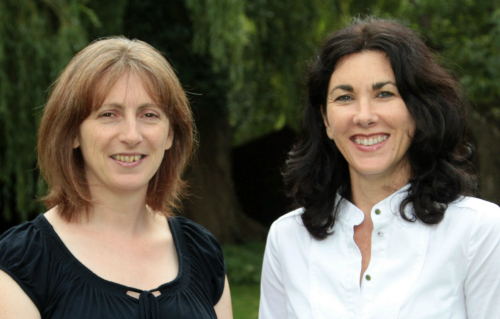 New uniform to buy, school shoes to get fitted, pencilcases galore in every shop – it’s that time of year again when our thoughts must inevitably turn to planning for the new school year. Last summer our own back to school preparations took on a whole new dimension. My autistic son Tomas faced the daunting transition from his much-loved mainstream primary school to our local secondary. Clearly there would be many challenges to face and one big worry was how Tomas would manage the extra organisational demands of dealing with lots of different subjects. Tomas was going to need a system to help him keep his paperwork organised and in one place if he was to stand any chance of keeping on top of things. 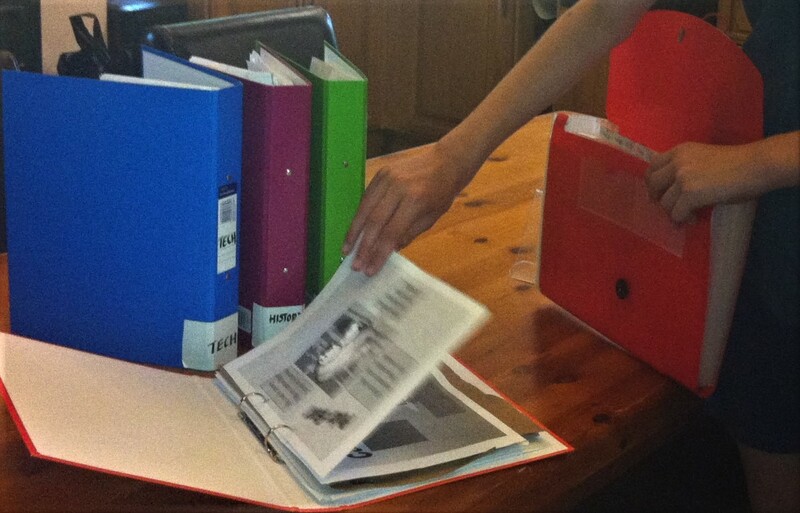 We started with eight A4 ring-binders in different colours and labelled each one with a subject. We labelled the pockets of a plastic concertina file with the same subjects and labelled one extra section ‘letters’ to be used for permission slips, newsletters, etc. I explained to Tomas that he must take the concertina file to school each day and bring it home again every night. Any notes, homework or handouts he was given had to be filed in it immediately after each lesson to prevent them from getting lost in his school bag or left at school! I then showed him how to empty the file each night. We talked through how we made the judgement about what should happen to each piece of paper. 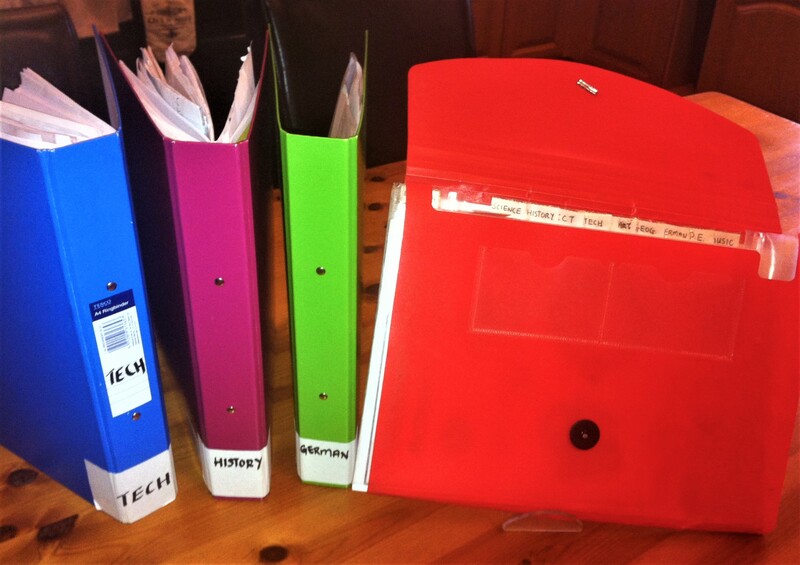 It if was needed for lessons the next day it could remain in the file, any homework sheets should be completed and returned to the file and some papers would need filing in the ring-binders for later reference and revision purposes. The aim eventually was to have Tomas apply the strategy independently. Direct explicit instructions and plenty of practice are often all that is required to help children learn basic o rganisational or other skills. This approach can be particularly beneficial for a child with organisational difficulties although it is appropriate and useful for most children. One year on and I am delighted to report that the system seems to be working! With lots of practice and the support of his teachers, Tomas can now collect, sort and file all his own paperwork from school. Now I just need to apply the same rigour to my own filing system!